Did you know that pets have an endocannabinoid system very similar to that of their human owners? It’s true. That’s why there are more pet owners than ever before interested in the benefits of CBD for pets. 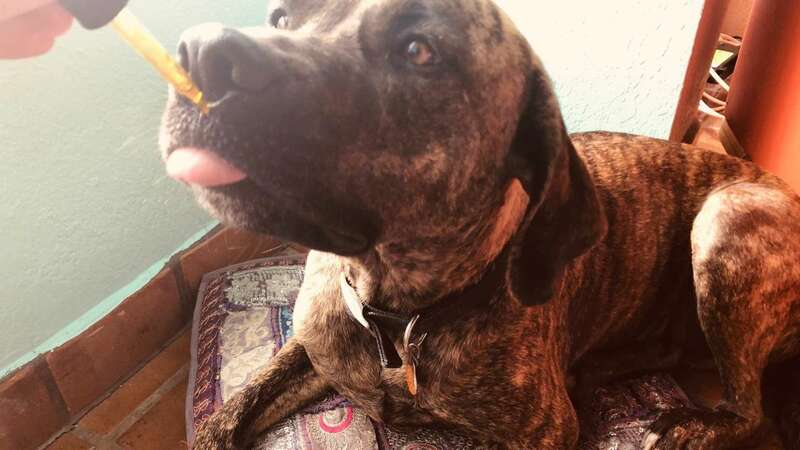 At CBD School, we’ve been using CBD oil on our dogs for years, finding it truly does offer therapeutic benefits that rival any doggie prescription medication we’ve tried. In fact, when one of our dogs recently underwent ACL surgery, the vet who performed her surgery actually recommended CBD as part of her treatment plan. We love our pets. 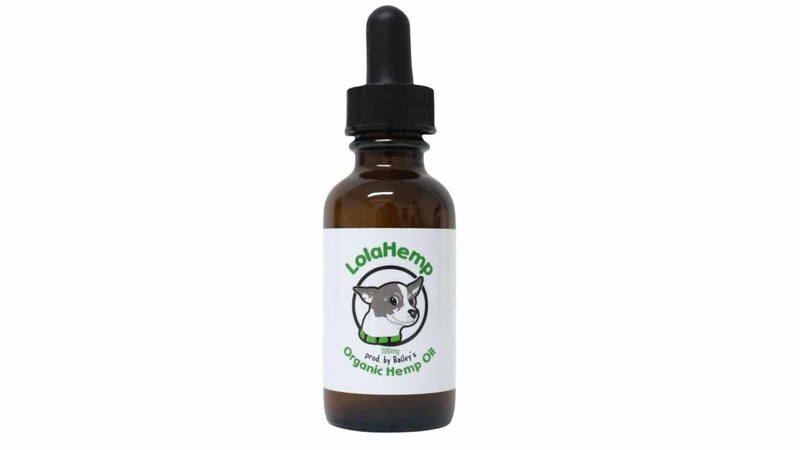 So, when we found out about LolaHemp, a new CBD company that makes CBD oil specifically with pets in mind, we knew we had to find out more. 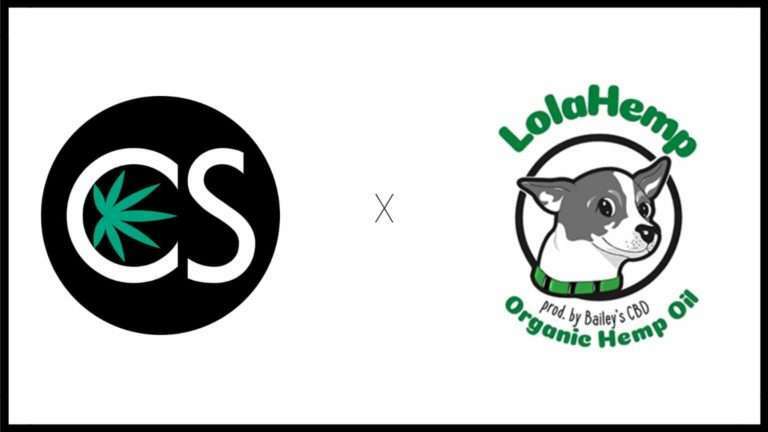 LolaHemp was launched in 2018 by the founders of Lolawawa’s Pet Boutique, an e-commerce store for pet lovers and pets that donates a portion of their project to animal rescue efforts. 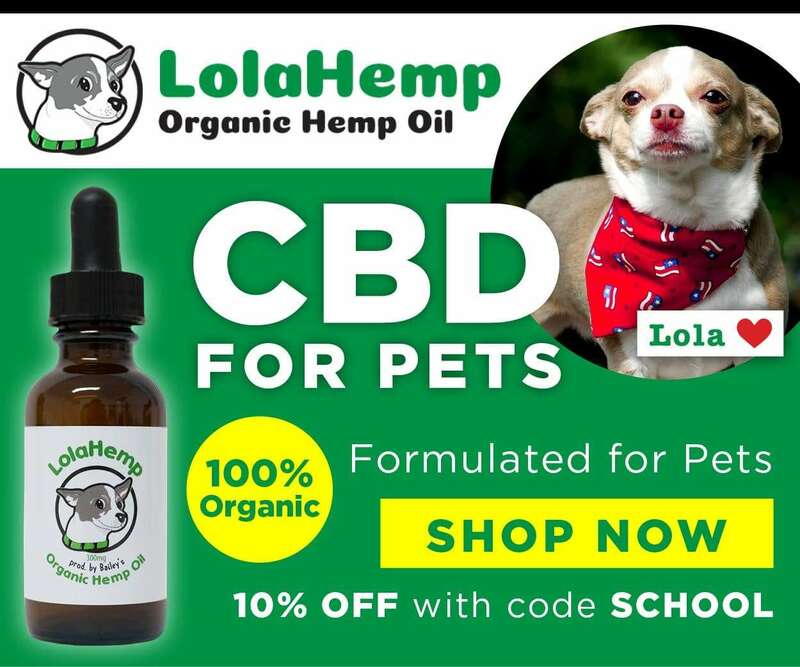 Lola, a five-year old rescue Chihuahua mix, is the face behind LolaHemp products and was part of the inspiration for creating a CBD oil specifically for pets. Like many dogs, Lola had an intense fear of thunder. Any dog owners out there that can relate? CBD oil seems to help immensely alleviate this fear for many dogs. Another reason LolaHemp was created? The founders of Lolawawa’s found that their customers had increasing demands for an all-natural supplement that would help with things like anxiety, aggression, and seizures. 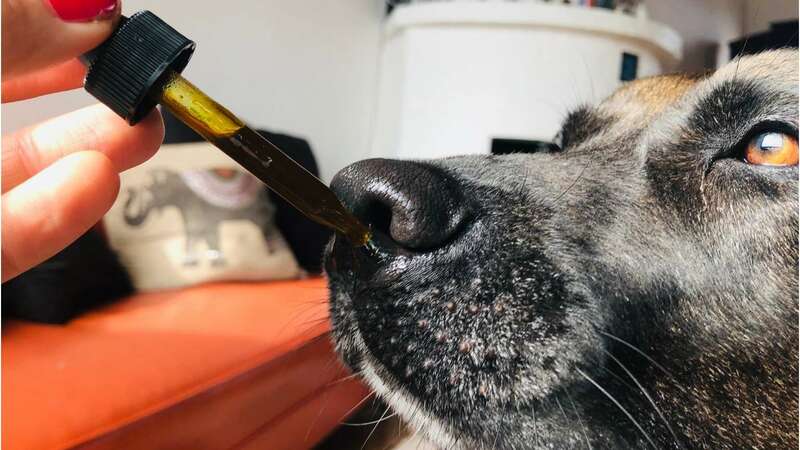 With more pet owners interested in CBD for their pets than ever before, the mother and son team behind Lolawawa’s knew they needed to offer their customers a CBD oil tincture made specifically for pets. LolaHemp was created for pets by people who love pets. The whole team has a passion for pets, specifically rescue animals. Lola, after all, was once a rescue and is now a regular user and advocate of the CBD oil that bears her name. One thing we love about LolaHemp? Aside from a seriously great CBD tincture for pets, for every four bottles of LolaHemp that’s sold, one bottle is donated to a pet in need. As an official partner of Social Tees Animal Rescue (STAR), a program that helps distribute free products to abandoned animals suffering from life-threatening health complications, stress, depression, loss of appetite, and more, LolaHemp is a company truly giving back to animals that could greatly benefit from the therapeutic properties of CBD. What’s more is that all of their products are third party tested for quality and transparency. Click here to learn more about LolaHemp’s lab test results. You can determine the size that works best for you a couple different ways. One is the size of your pet. Another is how often you give your pet CBD and the condition for which it’s given. On their dosage guideline chart that you’ll find on each product page, they indicate that the15ml small bottle is a monthly supply (used daily) for dogs 15lb and under, the 30ml standard bottle is a monthly supply (used daily) for dogs 15-40lbs, and the 60ml large bottle is a monthly supply (used daily) for pets over 40lbs. The dosage chart is also excellent to help pet owners determine exactly how much CBD to give their pets (and how often) for various conditions. How did our dogs enjoy LolaHemp CBD? Our male dog, Bear, is a 70lb 3-year-old that thinks he’s a lapdog. He’s also got some serious separation anxiety and seems to get depressed when all attention isn’t focused on him. We gave him 12 drops (per recommendation on his size and issues from LolaHemp Dosing Guidelines) and almost immediately saw a major difference in his oftentimes over-the-top needy behavior. And because our dogs are brother and sister and have never been separated, what one gets the other has to have. Our female dog, Bodhi, is freshly recovered from ACL surgery, but we know that leg must still get a little sore after long beach runs and lots of play after a 16-week recovery period. She not only seemed to love the taste, but also didn’t seem to be favoring or limping on her other leg much at all after her morning beach time. Bodhi and Bear will definitely be taking LolaHemp as part of their regular routine. Bear for his anxious, nervous, needy habits, and Bodhi for the continual maintenance of her ACL. Seeing as there’s a 50% chance her other ACL can go out at any time, we think it’s important to give her CBD daily (along with glucosamine) as part of her regular supplement schedule. We’re pretty sure if our dogs could thank Lola herself in person, they most definitely would…with their tails wagging. If you’re a pet owner, the benefits of CBD for your furry friend are unsurpassed. Whether your pet is suffering from a more serious condition and facing the end of their life, has regular seizures, has lost their appetite, is over-the-top needy and anxious, has separation anxiety, is aggressive, won’t eat, is in pain, or is healing from some type of surgery, LolaHemp CBD Pet Tinctures could be exactly what the (vet) doctor ordered. Our dogs have tried several CBD products. Some they lick up as fast as they possibly can, others we’ve had to practically force down their throats. LolaHemp was a CBD oil they truly seemed to enjoy…and one at CBD School we’ll undoubtedly continue to use. Your pets deserve nothing but the best. LolaHemp is a product we can honestly say falls into that category. Click here to try LolaHemp CBD today!